Artwork of Bowser's Brother from Super Mario Bros.: The Lost Levels. 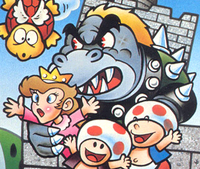 Bowser's Brother is a character similar to Bowser who appears in Super Mario Bros.: The Lost Levels. His identity varies in supplemental material, with the only consistent characteristic being his blueish color that was removed in Super Mario All-Stars. Even though Bowser's Brother does not properly appear in the original Super Mario Bros., the palette used for castle sections before the final boss battle causes an unintended consequence in which Bowser has the same coloration. This is due to color of Bowser's skin and shell being obtained through a palette swap commonly used in castle sections of the game, except for the parts in which the boss is fought. Because of this, standing near the end of a castle in a way so that Bowser is barely seen on the right-hand side of the screen causes him to appear dark shades of blue, but he will revert back to his correct colors if Mario or Luigi advances any further. The same graphical oversight can be seen in Super Mario Bros.: The Lost Levels. 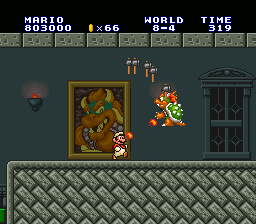 Fire Mario facing Bowser's Brother in Super Mario Bros.: The Lost Levels. Bowser's Brother makes his first appearance in the Family Computer Disk System version of Super Mario Bros.: The Lost Levels. There, he appears in World 8-4 and World 9-3. He tries to stop Mario or Luigi both by throwing hammers at them and by breathing fire. While distinguished from Bowser through the color of his skin and shell (brown and teal, respectively), when defeated with fireballs, he does not turn into one of Bowser's minions, revealing him to be distinct from the fake Bowsers. In World D-4, a fake version of him appears that only breathes fire and, when defeated with fireballs, is revealed to be a Spiny. Fire Mario facing the recolored Bowser's Brother in the Super Mario All-Stars version of Super Mario Bros.: The Lost Levels. In the Super Mario All-Stars version, Bowser's Brother is recolored to look identical to Bowser and also appears in D-4 in place of the fake version of him. Fire Luigi facing Bowser's Brother in Super Mario Bros. Deluxe. Bowser's Brother returns in Super Mario Bros. Deluxe. Here, he appears in the game's port of Super Mario Bros.: The Lost Levels (referred to in this game as "Super Mario Bros. For Super Players"), having the same role and appearance as the original game. The second color of Bowser in Mario Tennis. Bowser's Brother does not appear in Mario Tennis, but one of Bowser's palette swaps features blue skin and a blue-colored shell similar to his original depiction, but more saturated. The eighth recolor of Bowser in Super Smash Bros. for Wii U, claimed to be Bowser's Brother. In Super Smash Bros. for Wii U and Super Smash Bros. Ultimate the eighth recolor of Bowser is said to be him in the tips. 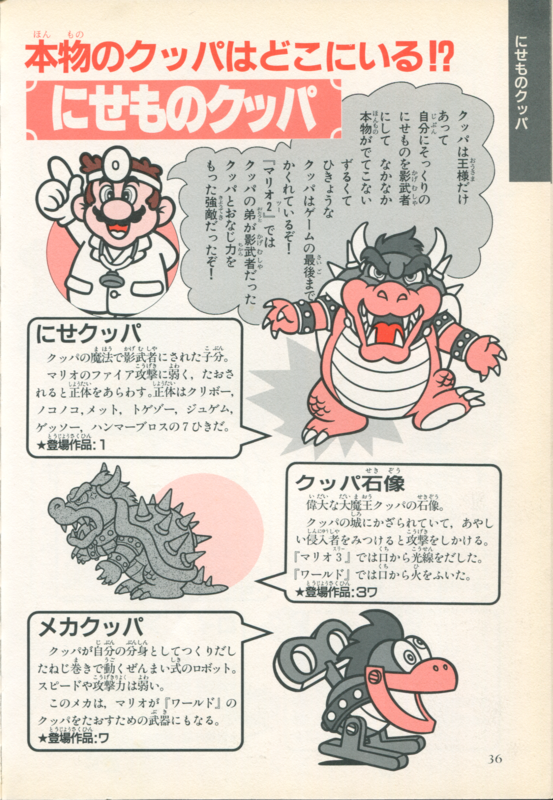 Initially mentioned as just another Bowser in the Japanese guides of Super Mario Bros.: The Lost Levels, without specifying what was his relationship to Bowser besides not being his twin, in the character books of the '90s released before the release of Super Mario All-Stars the blue Bowser was described as being Bowser's younger brother, with Super Mario Zen Hyakka, a book written in collaboration with Nintendo, putting him as part of the 「王族」 (Ō-zoku, literally "King Tribe") and thus a leader of the Koopa Troop and member of Bowser's royal family, along with the Koopalings and Bowser himself. Due to his recoloring from blue in Super Mario All-Stars, he was not considered a distinct character from fake Bowsers in the Japanese official guide book. However, he was named "Bowser's Brother" and stated to be his twin in the Nintendo Power guide for Super Mario All-Stars. After the release of Super Mario All-Stars and his recoloring to look identical to Bowser, he started being considered a fake Bowser. In Super Smash Bros. for Wii U, the English text suggests this depiction while the Japanese version leaves the nature of the blue Bowser ambiguous. 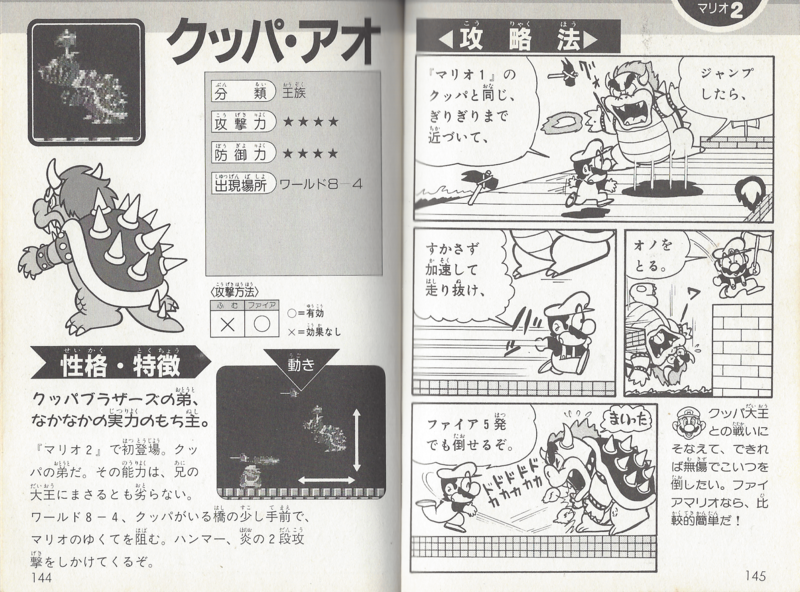 Super Mario Pia, a memorial book also written in collaboration with Nintendo, supports the interpretation that the blue Bowser is a particular fake Bowser. Encyclopedia Super Mario Bros., which was released around the same time, distinguishes him from fake Bowsers but states that his identity is unknown. "A Bowser Impostor?! In Super Mario Bros.: The Lost Levels, Mario fights a blue fake Bowser before the real thing. That blue fake is his eighth color in this game!" Bowser art for Super Mario Bros.
Due to his blueish coloration, Bowser's Brother resembles Shigeru Miyamoto's original blue depiction of Bowser in artwork for Super Mario Bros., prior to the character's redesign in artwork for Super Mario Bros.: The Lost Levels. 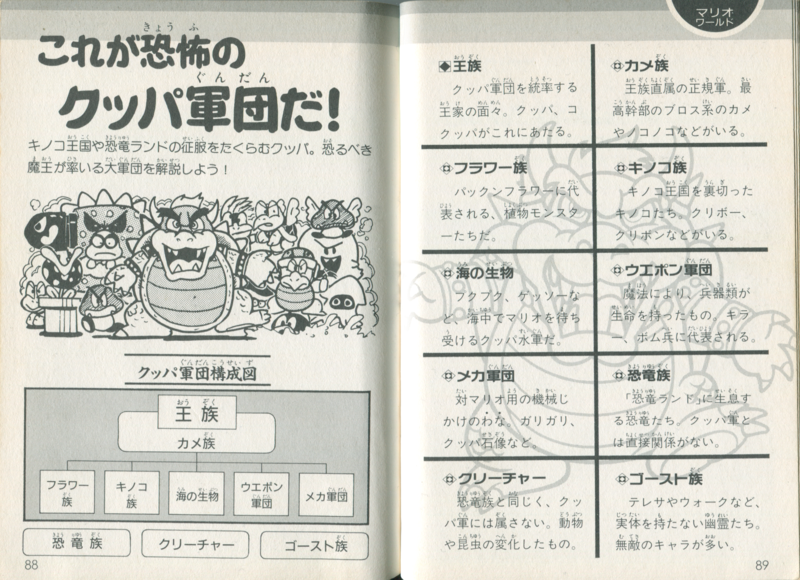 ↑ 1.0 1.1 Page 62Media:Bowser's brother mentioned in All-Stars Player's Guide.jpg of the Super Mario All-Stars Player's Guide has the heading "BOWSER'S BROTHER" and states "You're in for a surprise. Bowser's got a twin." 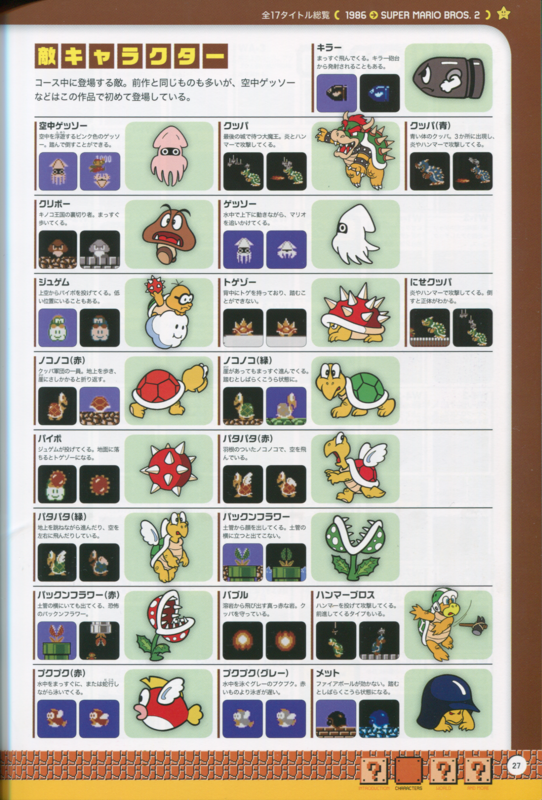 ↑ 2.0 2.1 Page 65Media:PEGMCE page 65.png of 「パーフェクト版 マリオキャラクター大事典」 (Perfect Ban Mario Character Daijiten, or "Perfect Edition of the Great Mario Character Encyclopedia"). 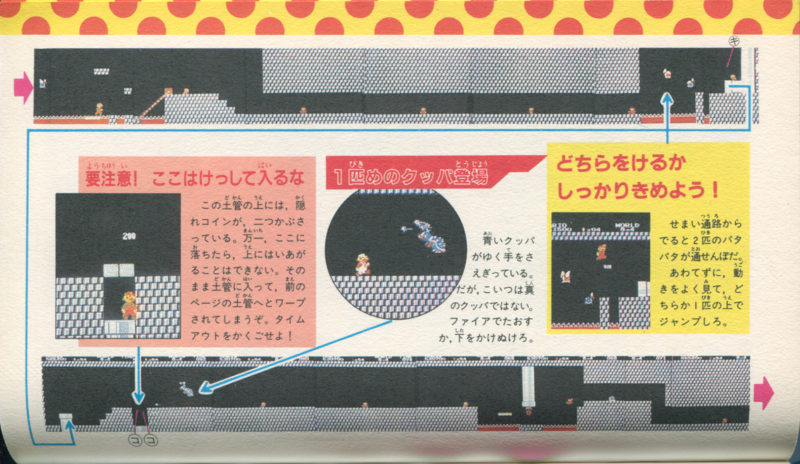 The text states "A fake Bowser appears in the Famicom version of Super Mario. Since his color is blue, you can tell at a glance that he's a fake, but unfortunately in Mario Collection he became the same green." while the two captions state "Obviously fake blue Bowser." and "He can't be distinguished from the real thing." 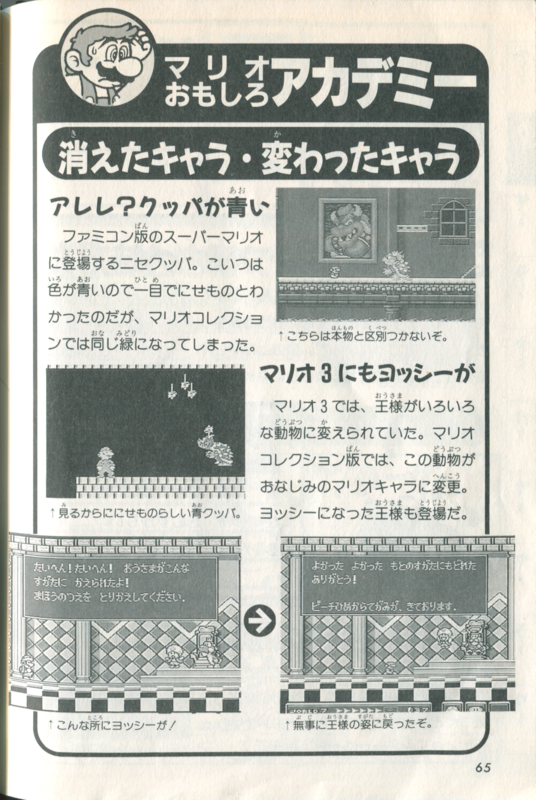 ↑ Page 89Media:SMB2GCWST pages 88 89.png of 「スーパマリオブラザーズ2<裏ワザ大全集>」 (Super Mario Bros. 2 < Urawaza Taizenshū >, or "Super Mario Bros. 2 Great Complete Work on Secret Tricks") has the paragraph: 「おお一つと！またグッバがいた。ということは、大魔王クッパはふたごだったのか、なんちゃって。アホ。」 (Oh! Bowser is here again. That is to say, the Great Demon King Bowser is actually a TWIN, not! Idiot.) Note that the author is mocking the reader for believing that Bowser has a twin. 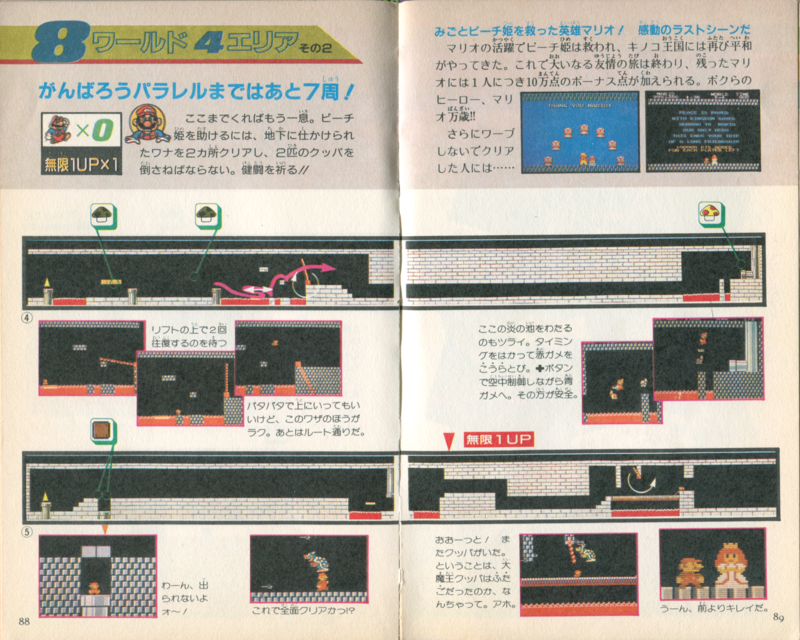 ↑ 6.0 6.1 6.2 Page 144Media:SMCE pages 144 145.png of 「スーパーマリオ全百科」 (Super Mario Zen Hyakka, or "Super Mario Complete Encyclopedia"). The blue Bowser is referred to as 「クッパブラザーズの弟」 (the younger of the Bowser brothers). The page also states 「クッパの弟だ」 (He's Bowser's younger brother). ↑ On page 92Media:SMC NOG page 92.png of the Nintendo Official Guidebook of Super Mario Collection, the blue Bowser is referred to as 「ニセクッパ」 (Fake Bowser). ↑ "A Bowser Impostor?! In Super Mario Bros.: The Lost Levels, Mario fights a blue fake Bowser before the real thing. That blue fake is his eighth color in this game!" - Super Smash Bros. for Wii U Tips. ↑ 「にせクッパ!? 『スーパーマリオブラザーズ2』には、青いクッパが登場する。倒すとその先にいつもの緑のクッパがいる。『スマブラ』では8Pカラーで青いクッパになる。」 (Fake Bowser!? In Super Mario Bros. 2, a blue Bowser appears. Defeat him and beyond is the usual green Bowser. 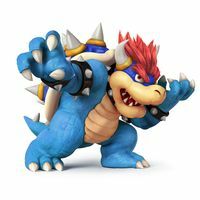 In Smash Bros., the 8P color is the blue-colored Bowser.) - Super Smash Bros. for Wii U Tips. ↑ 13.0 13.1 On page 22Media:SMP Blue Bowser.png of 「スーパーマリオぴあ」 (Super Mario Pia), the blue Bowser is labeled as 「ニセクッパ」 (Fake Bowser) while still stressing his body being blue. 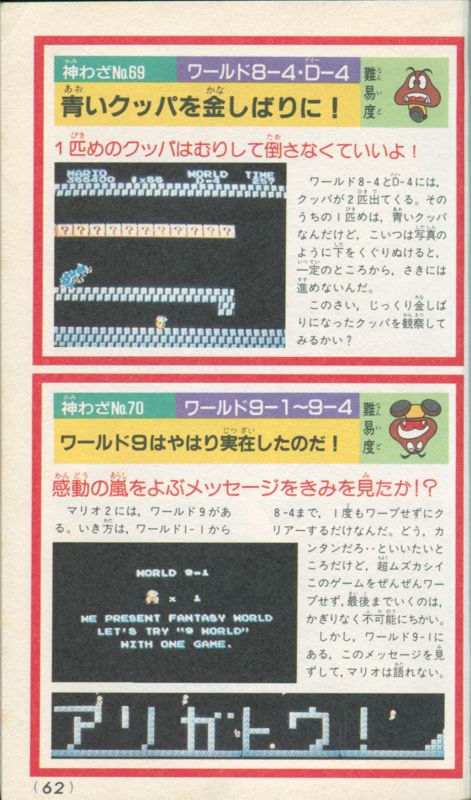 ↑ Page 27 of Enciclopedia Super Mario Bros 30ª Aniversario. 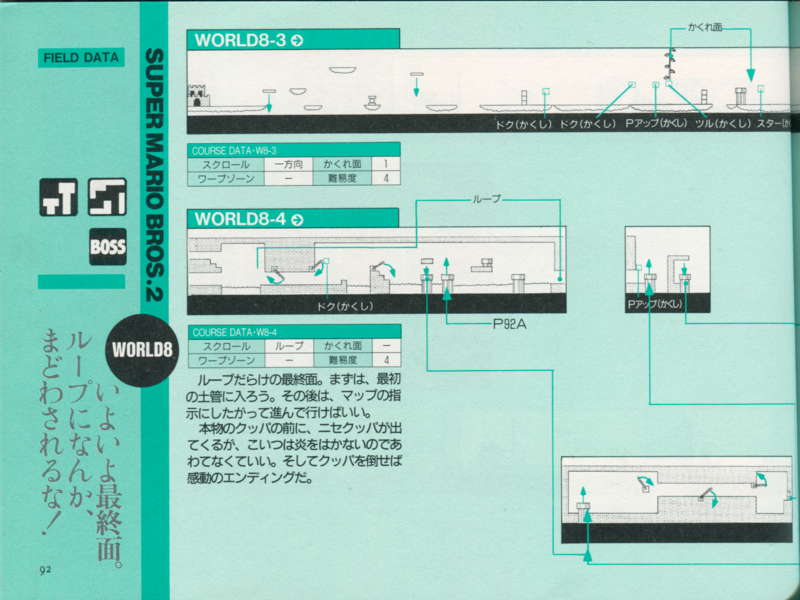 ↑ Page 27 of Super Mario Encyclopedia – Die ersten 30 Jahre. 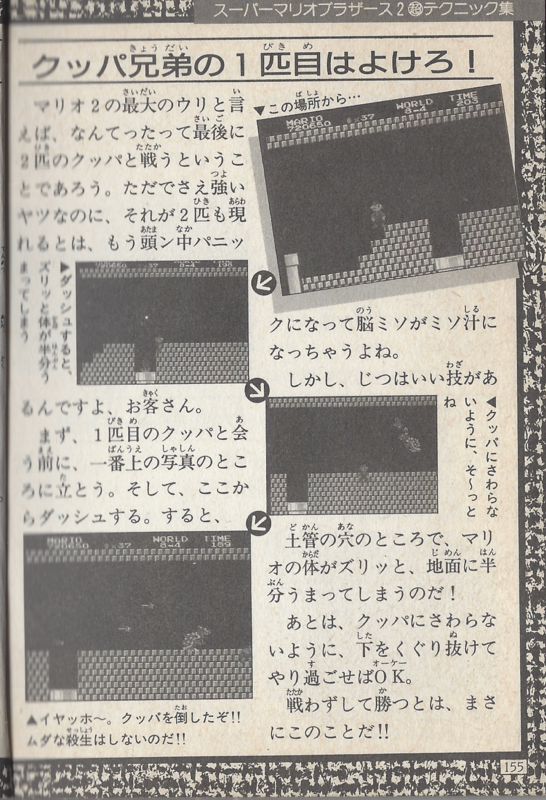 ↑ Page 27 of Super Mario Bros. Enciclopedia. This page was last edited on April 14, 2019, at 22:49.